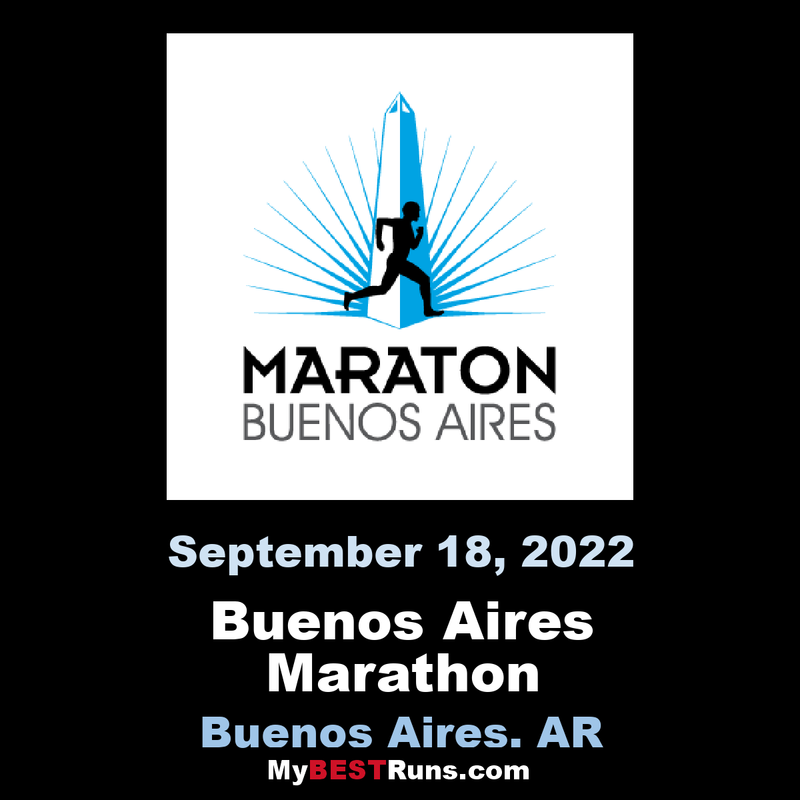 The Maratón of Buenos Aires is an annual marathon foot-race which takes place in Buenos Aires, Argentina, during the Southern Hemisphere's Spring, usually in October. 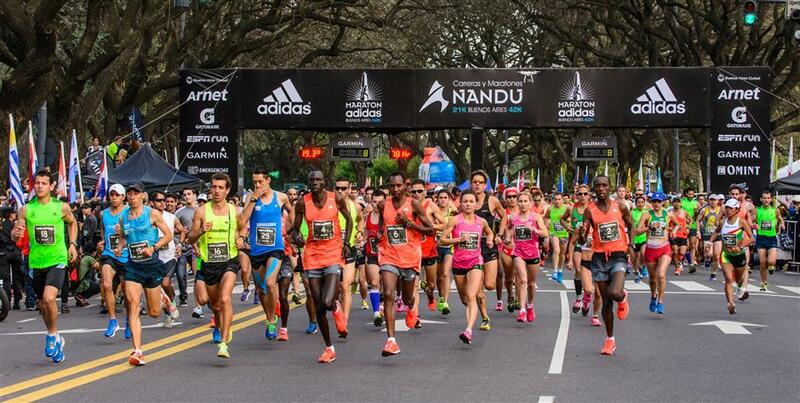 The 21st edition of the Buenos Aires Marathon started on October 9, 2005 at 7:30 at the 9 de Julio Avenue and Córdoba Avenue in the Recoleta neighbourhood, being the start also the end point. 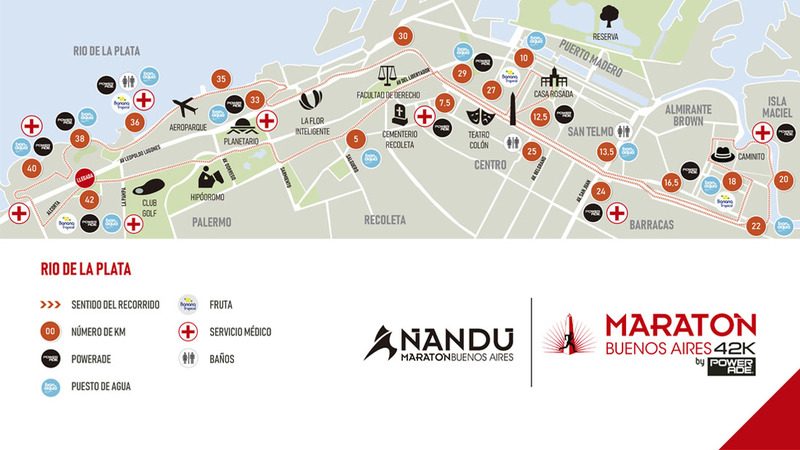 The course visited many important spots of the city, featuring Callao Avenue, the River Plate Stadium, Libertador Avenue, Palermo neighbourhood, Corrientes Avenue, passing by the famous Gardel's neighbourhood, then down to La Boca's Caminito, to return passing by Puerto Madero, Casa Rosada, and the city centre. The 2005 edition had almost 3000 participants from Argentina and all over the world. Most of the foreign runners where from Peru, Ecuador and Chile, but there were also some from America and European countries. The realization of tests of"great bottom" or "marathon"in our city have a great tradition since the first competition on a route approximated to 40 km.It took place in 1903, between the downtown area and the Flores neighborhood.In 1910, on the occasion of the celebrations of the Centennial of the May Revolution, a marathon was held on the Olympic distance (42.195 meters, instituted shortly before) and was won by the great star of those times, the Italian Dorando Pietri. Also, the marathon is the discipline that gave greater satisfaction to the Argentine athletics in its history:two Olympic gold medals(Juan Carlos Zabala in Los Angeles 1932 and Delfo Cabrera in London 1948)and the second placeof Reinaldo Gorno in Helsinki 1952, in addition of other relevant actions, the last of them by Osvaldo Suárez, 9th in the 1960 Rome Games with a South American record of 2h.21m.27s. The idea of the realization of a marathon of the city, with a fixed date in the calendar and according to the phenomenon of this test and the "running" in general that was seen worldwide at the end of the 70s, was impelled by two of the biggest runners in our history - the aforementioned Suárez and Domingo Amaison - together with Angel Coerezza, from the Adidas firm. And so,from 1984the International Marathon of the City of Buenos Aires is disputed in an uninterrupted way -with the exception of 2002- and every time with greater call, in quality and quantity.Since the last decade, the organization was taken over by the then Ñandú Foundation chaired by Carlos Sáez and, in recent years, turned into the Ñandú Race and Marathon Association, with the control of the Argentine Athletics Confederation and the Metropolitan Athletic Federation. The BA International Marathon also integrates the calendar of the International Marathon Association (AIMS) and its new circuit - scheduled for 2017 -has been officially certified by the IAAF,qualifying for the last World Championships and Olympic Games. 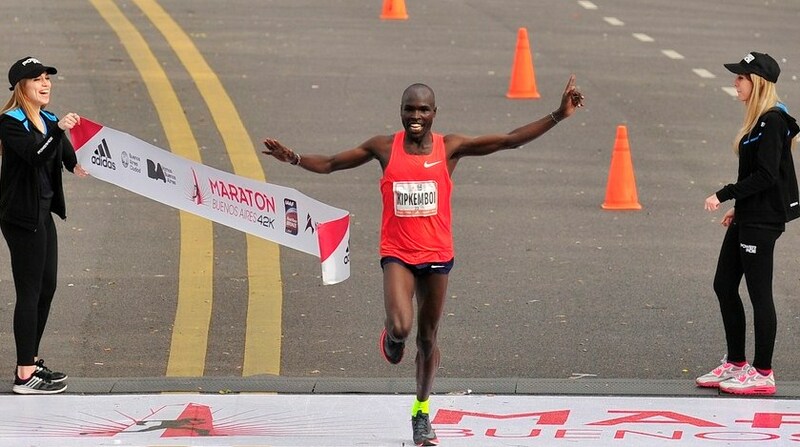 The Marathon also included in several opportunities the National Championship, the South American Championship (2009 and 2013) and the Ibero-American Championship (2010 and 2017). And it has been in constant growth to becomethe most convincing in Latin America,with more than 10 thousand participants in each of its last five editions. The main figures of athletics in the background of our country in recent decades took part in this race, reached to be among their winning names as Juan Pablo Juárez, Toribio Gutierrez, Herman Cortinez, Griselda Gonzalez, Sandra Torres Alvarez and Mariano Mastromarino, among others .But also the international level was growing and in the last edition, held on October 10, 2017, for the first time a winner wasbelow 2 hours and 10 minutes,the Kenyan Barnabas Kiptum.In ladies, the Buenos Aires marathon record corresponds to the Ethiopian Abeba Tekukulu since 2013.